The Cuban Giants: First African American Professional Baseball Club In The U.S.
George Theophilus Walker (1922 – 2018) was an African American composer. Walker held professorships at distinguished schools such as Smith College, where he became the first black tenured faculty member; Rutgers University, Peabody Institute in Maryland, University of Colorado, University of Delaware and at New York’s New School. Walker fancied himself to be more of a pianist rather than a composer. He made his professional debut with a solo recital at Town Hall in New York. According to Walker, he was the first African American composer to perform at Town Hall in 1945. He would follow this performance two weeks later with another “first”; being the first African American composer to perform with the Philadelphia Orchestra. Walker would later reflect that it was through these performances that he experienced the “stigma” of race. Undeterred, he would continue to build his career as an academic and composer; as well as becoming an outspoken critic of racism within his circles. On Monday, February 26, 2018, Cynthia Marshall was announced as the new interim CEO of the Dallas Mavericks. Marshall is 58 years old and recently retired from an executive role as a Chief Diversity Officer with AT & T. She retired after a 36 year career with there. After leaving AT & T, Marshall launched a consulting firm which focused on the areas of leadership, diversity/inclusion, and culture transformation. She was recruited by Dallas Mavericks owner, Mark Cuban following the resignation of the former CEO, Tederma Ussery amid allegations of sexual harassment and workplace misconduct that was released in a recent Sports Illustrated article. Marshall will have the opportunity to drop the “interim” portion of her job title if she chooses. Highly recommended from AT & T leadership, Marshall has some tough work ahead of her. She appears to be up to the challenge! Darlene Anderson made history in 1958 when she became the first African American female roller derby professional skater. Anderson was very athletic, playing sports in high school. Her mother stopped her from playing baseball because she felt the sport was too rough. Anderson took up roller derby instead. Her parent’s thought she was taking ice-skating lessons. She didn’t let them know right away it was roller derby; being fearful that they would make her quit. Anderson’s parents were raising her to be a “lady” and she knew they would not approve of her competing in a sport like roller derby. She had no idea that she would compete professionally in the sport. At that time, roller derby was an extremely popular sport across the U.S. A time trial held at Olympic Auditorium, gave Anderson her “big break”. The time trial launched her career as a professional roller derby skater. Though skeptical at first, Anderson’s parents became her biggest supporters. She rose to fame quickly, unanimously winning, 1958 “rookie of the year” award at age 19 while skating for the Brooklyn Red Devils. She also skated professionally for the Hawaii All Stars, San Francisco Bay Bombers, New York Chiefs, Los Angeles Braves, and many other teams. Anderson felt she was treated well by her teammates and other professionals within the sport. She would encounter the occasional rowdy fan but feels she was accepted as an equal with other skaters. After concluding her career, she accomplished another “first”, becoming the first African American woman to be a Pari Mutuels Clerk with the Southern California Racing Association. Pari Mutuels is a form of betting at horse tracks. 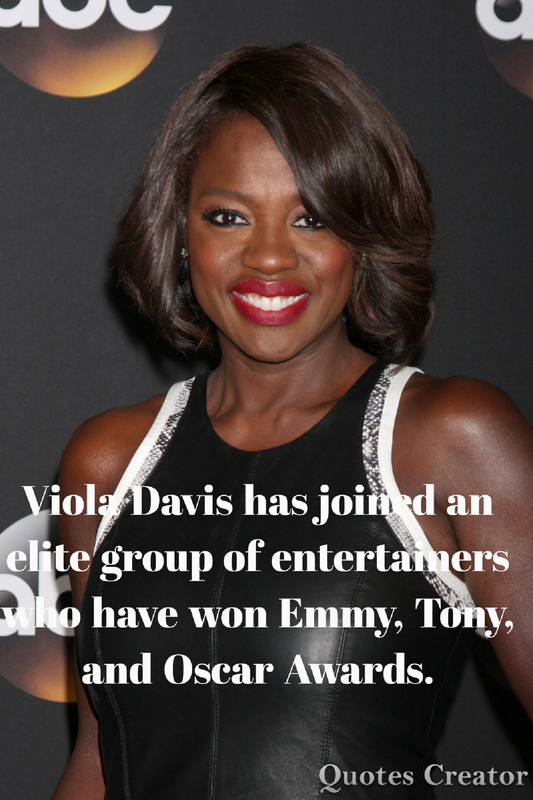 Viola Davis has joined a signature group of actors by wining an Emmy, Oscar, and Tony award. On 2/26/17 Davis completed the “triple crown” by winning the Oscar for best supporting actress for her role in “Fences”. Bravo Queen!! We salute you!